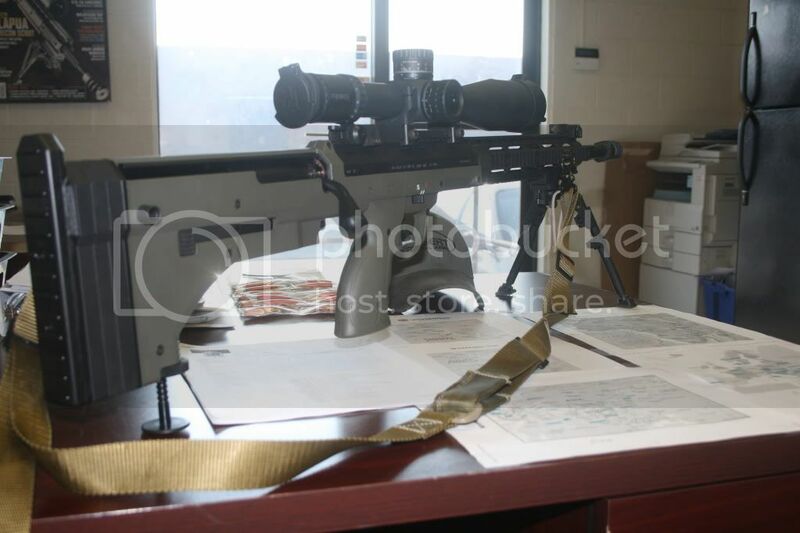 I am soon going to be a DTA SRS owner and know that there is a ton of information about this rifle on the hide. As you all know, once you begin the process of researching something like buying a new high end rifle you suddenly become a minor expert on the issue after all your research is done. I have done the same things on vehicles, homes, etc. 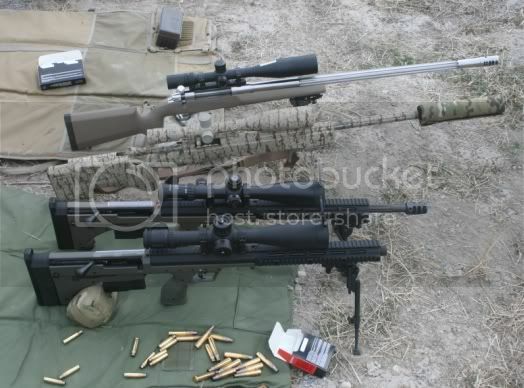 This would be like the McMillan A5 picture thread, except everything DTA SRS, HTI, Covert, and Hunter related. I know that there are a couple guys here that have some great load info and others that have built some SRS' in unique calibers. 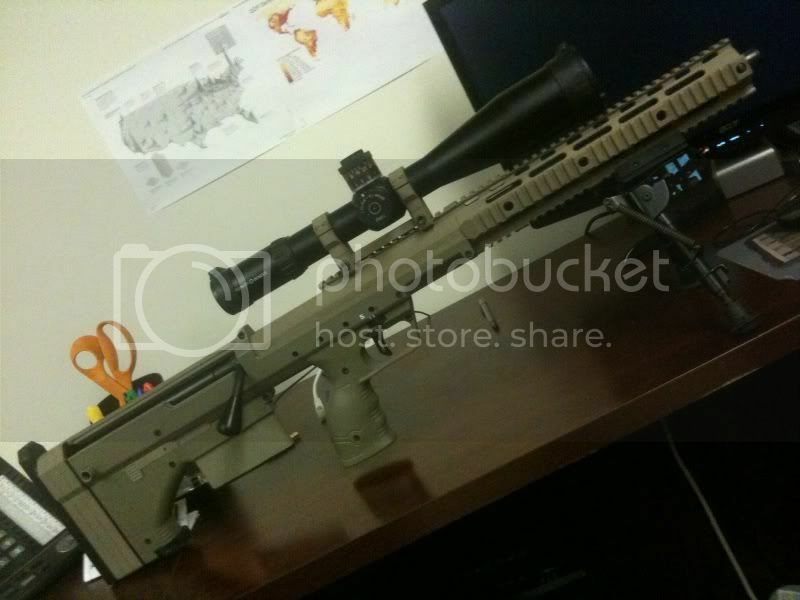 Others have done some really creative modifications and additions to these rifles. I think it would be nice to find this wealth of information all in one place instead of a bunch of random threads using the search tool. Let me know if you think this is a good idea, if so lets get it started! If it works, I will change the thread title to read "Official DTA SRS, HTI, Covert, Hunter Thread." 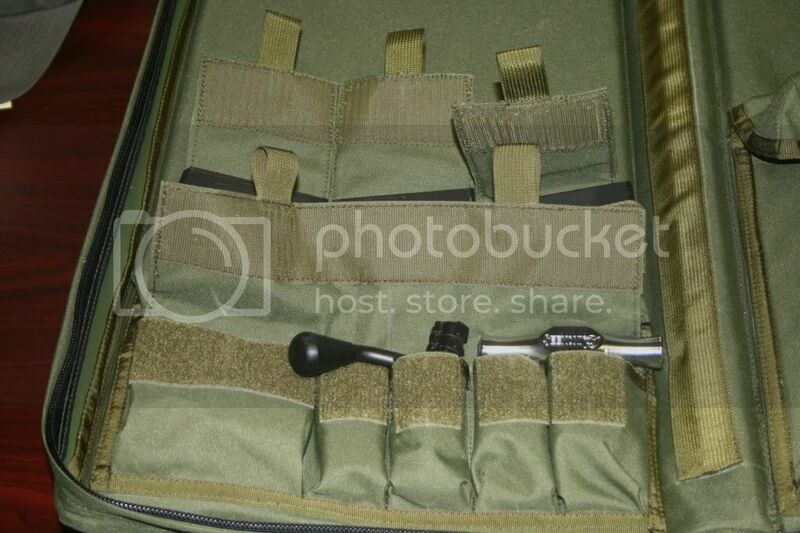 Maybe if it becomes big enough it can get broken down into different threads for each rifle. Maybe one day it may even become a sticky thread, God willing and the creek don't rise. Just a thought. I'd be happy to contribute loads I've worked up so far. 6.5x284, 142smk, br-2, 28" benchmark 8 twist, 51.3gr H4831sc. Solid 3/8moa. Great idea, as I am not too far away from picking one of these up as well. <div class="ubbcode-block"><div class="ubbcode-header">Originally Posted By: Addicted</div><div class="ubbcode-body">Great idea, as I am not too far away from picking one of these up as well. You should be fine. I'll post some pics when I get home of my 762sd and its break mount. 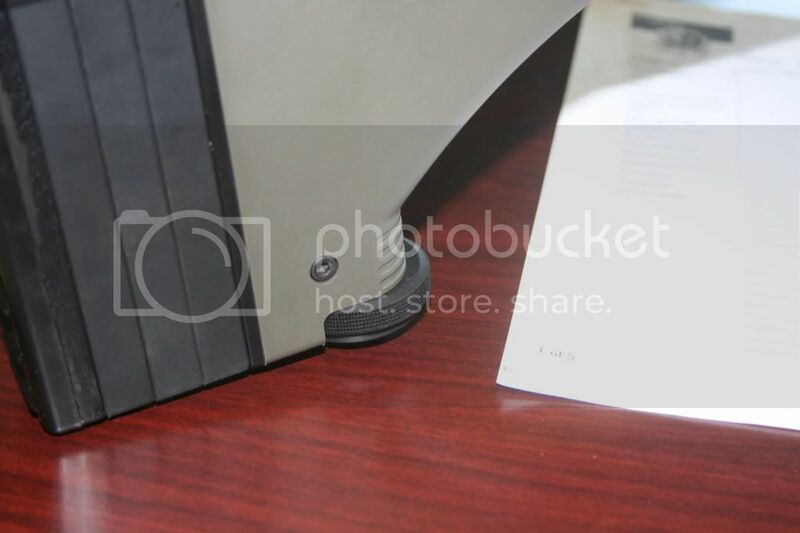 The barrel extends roughly 1". I agree, these systems are awesome. I'm seriously considering selling off most of my collection to help fund one of these. Have to keep the AR, M1, 1911 and 10/22, everything else can go though lol. I like the official Sticky thread idea. We have updated the website too guys don't forget to check it out. We know there are a few bugs in it so bare with us for a couple weeks. <div class="ubbcode-block"><div class="ubbcode-header">Originally Posted By: sr90</div><div class="ubbcode-body">I like the official Sticky thread idea. Much better site, and the Support & FAQ provides alot of good info. Ordered mine today! Have in a week or two! Can someone chime in on the Lothar Walther barrels? DTA is using both Krieger and Lothar Walther for the .308. I'm just not familiar with the Lothar Walther. I'm sure they are good barrels if they are running them, but don't know much about them with the exception that they are buttoned barrels. 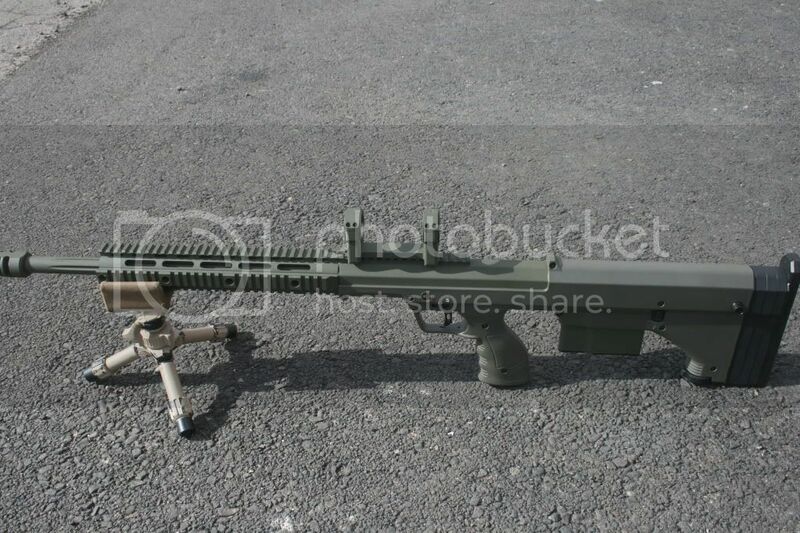 Also, found out that you can get the .308 in a 26 inch barrel from them, if you like. 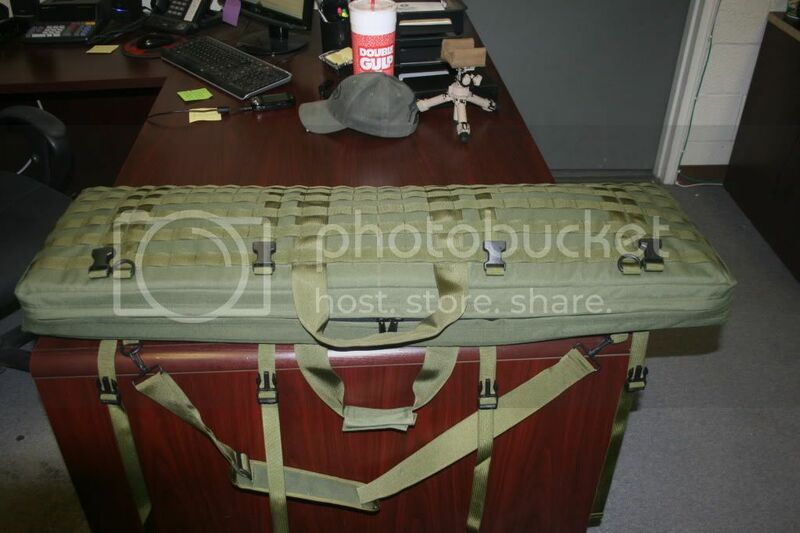 Personally, I got the 22 inch, b/c I am buying this for the compactness of the gun. If I want to really reach out there, then that is what the .338 conversion is for. More thread descriptions and threads added. Please keep the load data coming guys. 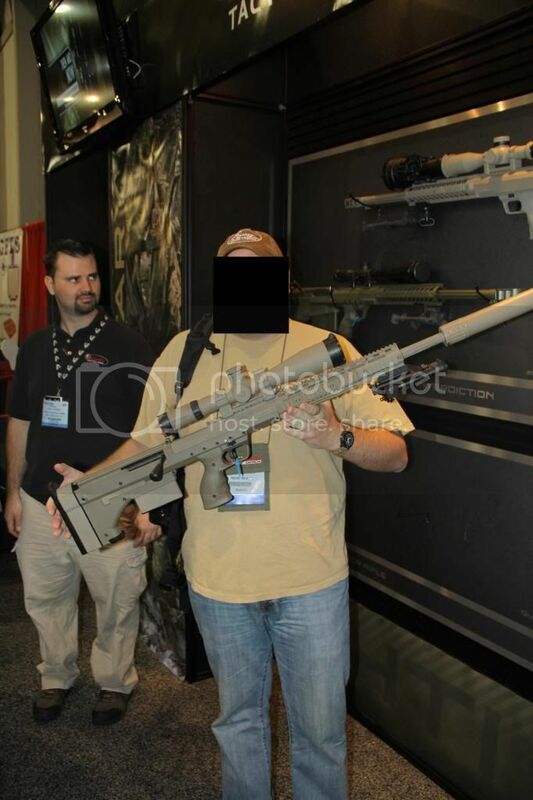 Heres my first question in the "Official thread"
Would really great if there were a sub-forums of the "rifles" forum so that guys could just see threads pertaining to specific manufacturers, (i.e. AI, GAP, DTA, PGW, etc.). This would make this forum much more user friendly. 1911 Forum (http://forums.1911forum.com) does this and it is really nice. 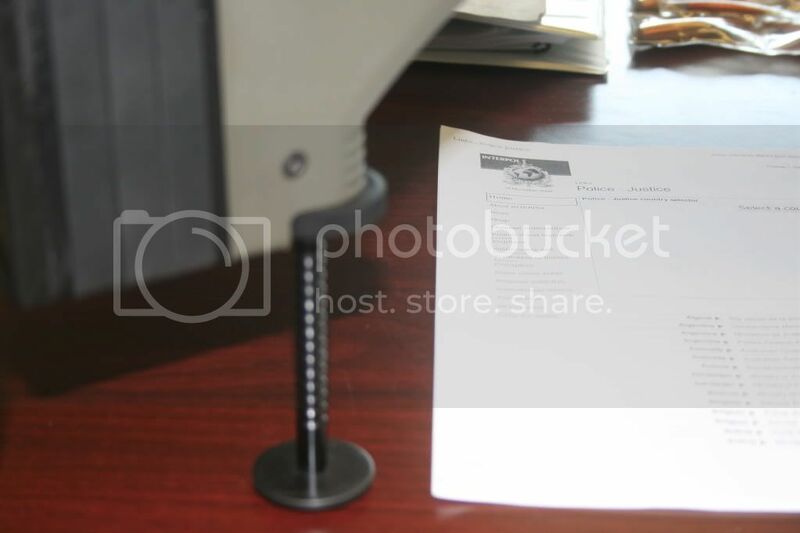 <div class="ubbcode-block"><div class="ubbcode-header">Originally Posted By: shane45</div><div class="ubbcode-body">I think its a great idea! I asked Later the same thing. He said no. I was interested b/c their new Covert looks like it is a SRS with a short forearm. So- DTA, please make this happen. It just make sense and it should be super easy. Just make the covert rail attach in the same way that the SRS forearm attaches. I would love the ability to put a 16" 308 barrel on mine. If you don't want to wait, you can buy a forearm and have it machined off. Later also suggested that. I am looking at mine now, and while it would work, it wouldn't be the cleanest thing in the world. The slits and slots don't line up in an ideal way. sr90, later- how much would a rail cost? I talkedto Ethan last week about a full length forearm replacement and was told $375. I dont know if the short ones are available yet, but try giving him a call. I talked to later, and he thought that the covert's forearm had a different attachment method. That seems kind of weird to me. Nick- please chime in. 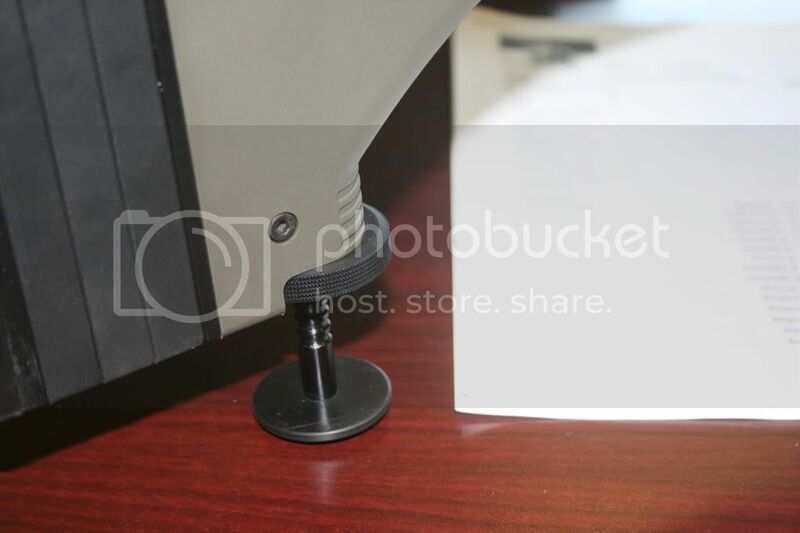 Can we easily convert our SRS's to Coverts and back again? It's too early to answer the forearm question on the Covert as it's still in development. Funny. I thought the same thing when I saw these at Shot Show. If I can easily convert the Covert or Hunter into an SRS format with the rails, I'd have all the rifles I'd want in one package. Of course, that might be a less attractive option to DTA as they'd be selling less rifles. 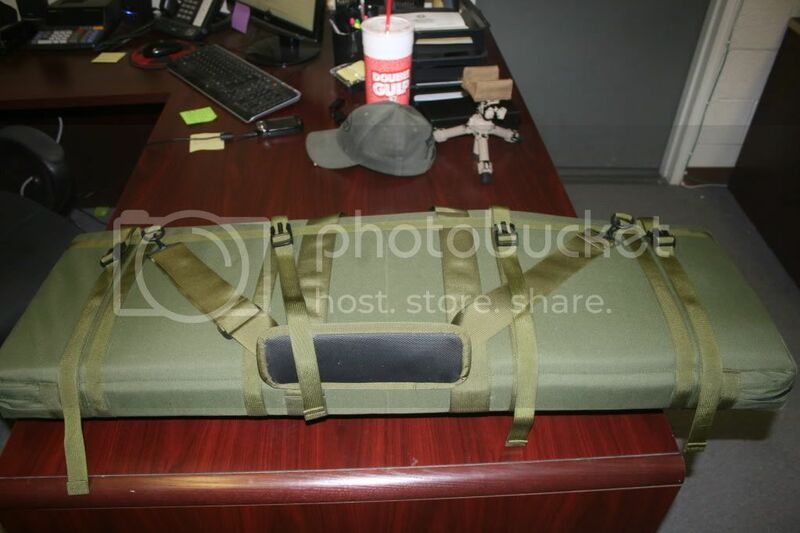 I have received several PM in regards to what the DTA production version of the soft case/shooting mat looks like. 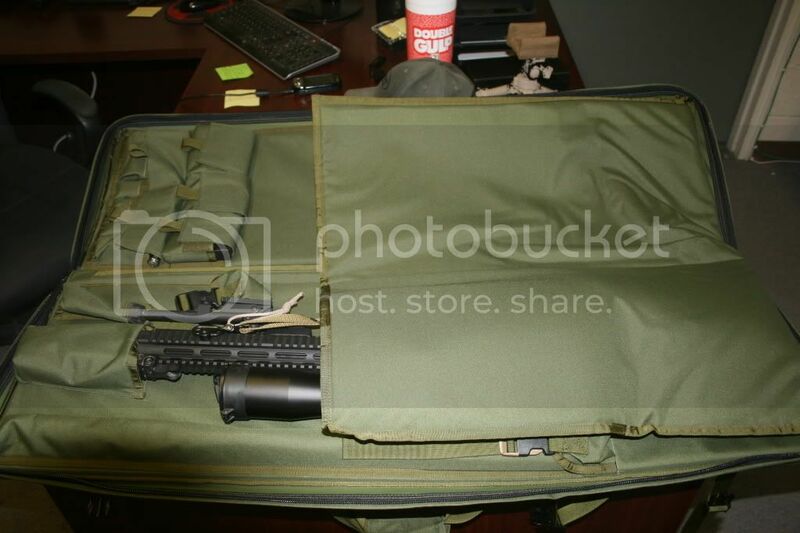 Here are a few pics of it on desk, Will get field pics this weekend. NOTE: To operate the monopod all the user has to do is pull down on that knurled knob and the pod shoots down, then all you do is turn the knurled knob in either direction and make your fine adjustments. Posting after LC is like getting stuck behind a 6 1/2 ft tall 300 lbs woman in a pink muumu at the buffet line, nobody really pays any attention to you, but I think this is a great idea and here is my contribution. This video I think should help illustrate the wonderful job the compensator does minimizing the blast of the 338 LM round that everyone seems to be so worried about. 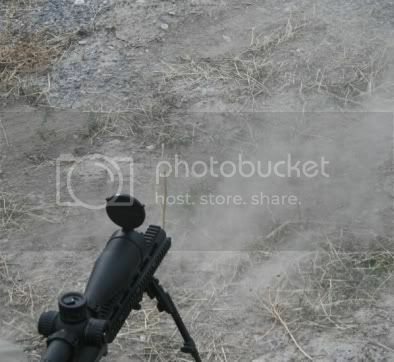 Notice the camera is about 1 foot right and maybe 2 feet behind the muzzle, which on comparable rifles, ie M107's or AW Magnums, would be smack dab in the "blast" zone. Note the overall lack of "blast". I was pretty happy to find that the 338 LM is just a pleasurable to shoot as the 308. Man you gonna have to make trip down here for a weekend of shooting. We can do ELR, ELR combined with high angle, etc etc etc. 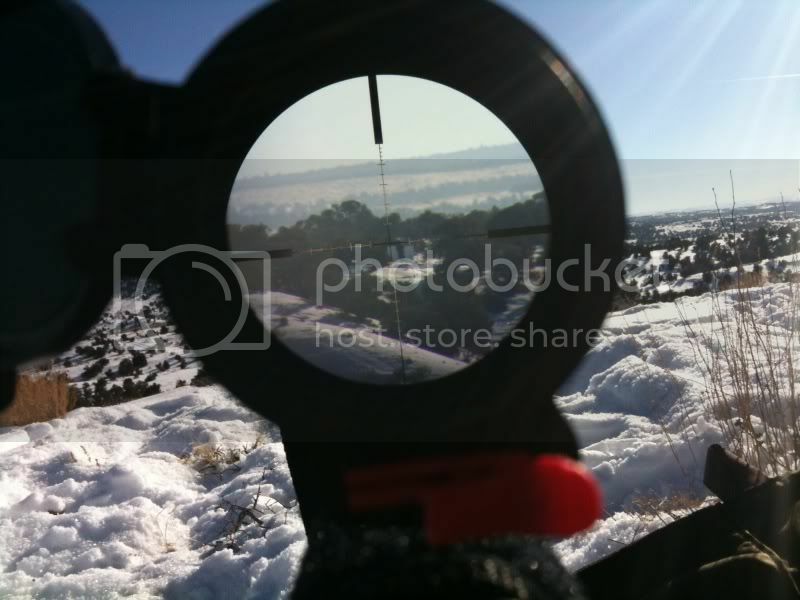 Here is thru the scope pic at 1450m IIRC..it might have been 1500m I don't remember. What color are those skins? can you take somemore pics? outside maybe? Hahahah, got a friend coming in from out of town to test drive my rifle, I have a feeling he will be giving you a call soon. 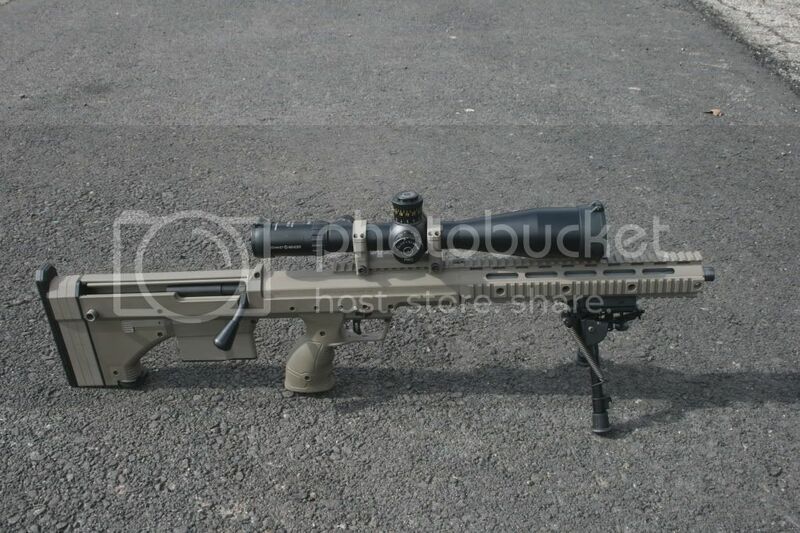 I'd really like to get down there, let me know when you have a weekend free of chasing "cougars"
Anyone in WA, OR, ID that can get to SE WA feel free to PM me, I will happily take you out to the range to get a feel for the 338 and 308 conversions at what ever range tickles your pickle, you will have to supply your own ammo! It was 1500 meters (1640 yards). I like Poundcakes offer. 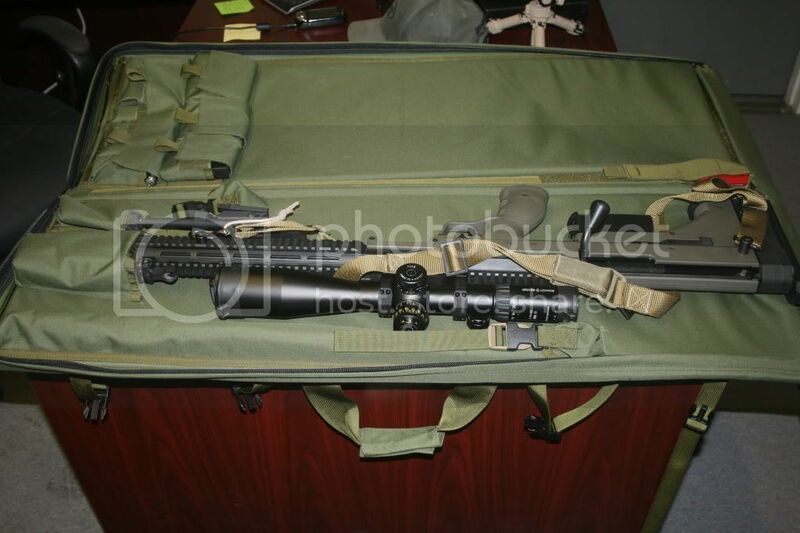 If you are in the Tucson area,I too would be happy to let ya take my DTA for a spin in .308/.338/.243. Supressed or unsuppressed. You provide the ammo. Usually head out 1x a week. PM me. 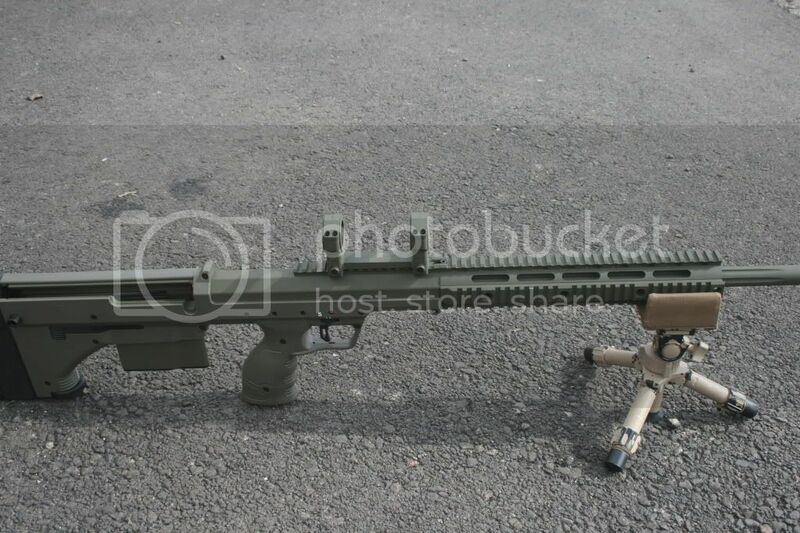 Shot SRS .308 1/10 Krieger 22" barrel used IMR 8208 xbr Lapua case 155 L 2929 Fps load in single digits SD ES ( below ability of chrono to measure)but shows cosistancy. Four loads same POI in OCW test with in 1/4" of each other at 100 yds largest 3 shot .5 Moa others .3 Moa. confirmed at 300 one round each under 3/4"
I run my AIAW at 2940 Fps with 25" barrel so I gave up 20 Fps, big deal. No preasure signs, primer edges round not flat, no leaks around primer and easy bolt lift/extraction. Worked up the load OCW bullet loaded out to -.010 jump ogive length 2.227 OAL 2.851, its over the published max 45.3 but note the OAL they list. Shot 60 plus rounds 1000 yds Temp about 50F Alt sea level 10 mph cross wind at 90 degrees all sonic. First relay 187- 2x F class target 10 ring 10". Next relay I screwed up but it was not the rifle or the load, operator. Do we even dar ask how many you have not including the HTI? The FDE cerakote looks lighter in the pic's then it does in real life. The picture that looks the most like it does in real life is this one. have yall done one in fde cerakote and green skins? 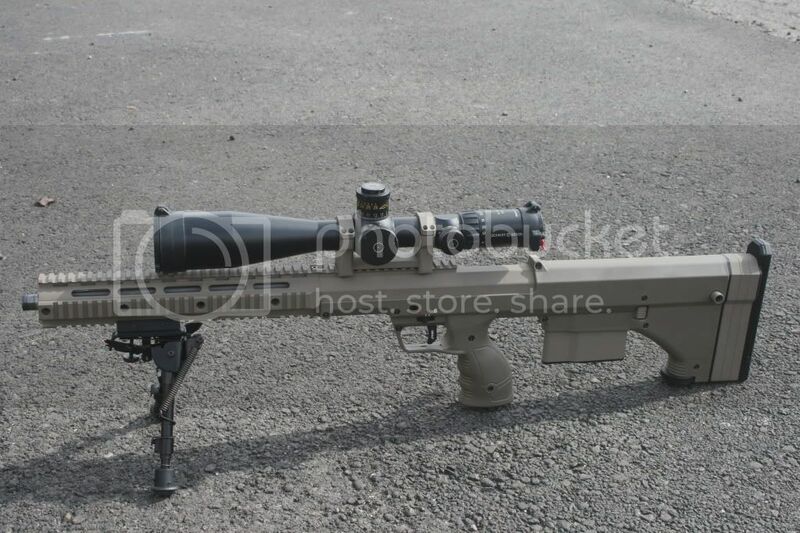 can the monopod be ordered seperately to fit the original stock on the recon scout. My rifle is 12-18 months old and did not have a monopod when i bought it. I believe you can send the chassis back to DTA and they will retrofit it with the monopod.